Republican presidential candidate, former Massachusetts Gov. 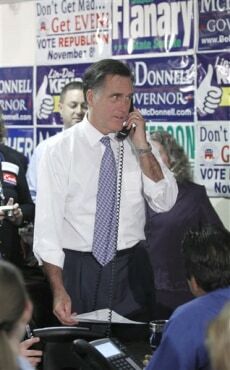 Mitt Romney, makes a phone call during his visit to Fairfax County Republican Committee (FCRC) headquarters in Fairfax. Va., Wednesday, Oct., 26, 2011.